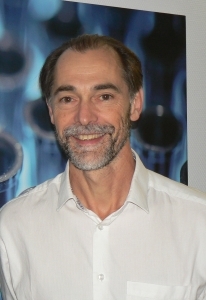 Research Director at INRA, Joël is Scientific Director of MetaGenoPolis, a Unit of the Micalis Institute “Food and Gut Microbiology for Human Health” and scientific board member of Microbiology Pole of the Doctoral School “Therapeutic Innovations” at Paris-XI University. Joel joined INRA in 1983 and received his PhD from the University of Illinois at Urbana-Champaign, USA, in 1988. He aims to contribute to a better understanding of the intestinal ecosystem in order to support therapeutic choices in the medical area, as well as science-based recommendations in health nutrition. Joël Doré chairs the gut microbiota for health scientific web-platform.